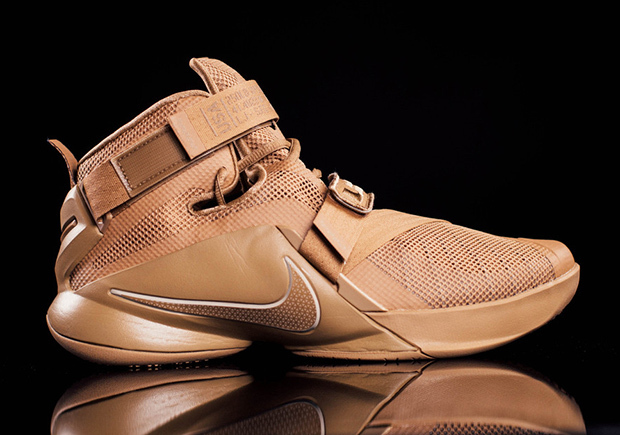 The Nike LeBron Soldier IX suits up for battle with this desert-ready colorway. 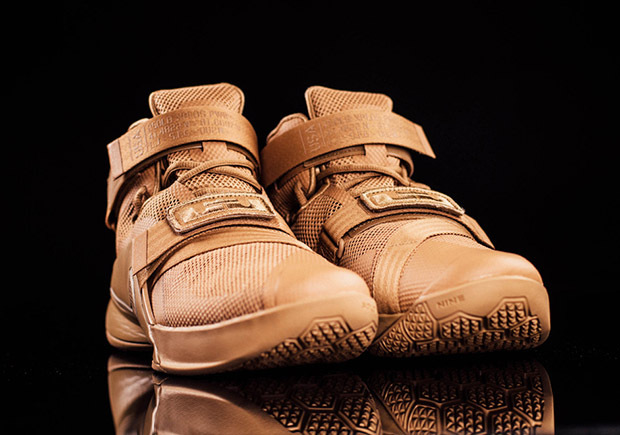 The no-nonsense but high-performance LeBron team shoe features a tonal sandy tan upper for this premium edition, detailed with militaristic text on the ankle strap to hammer home the theme. 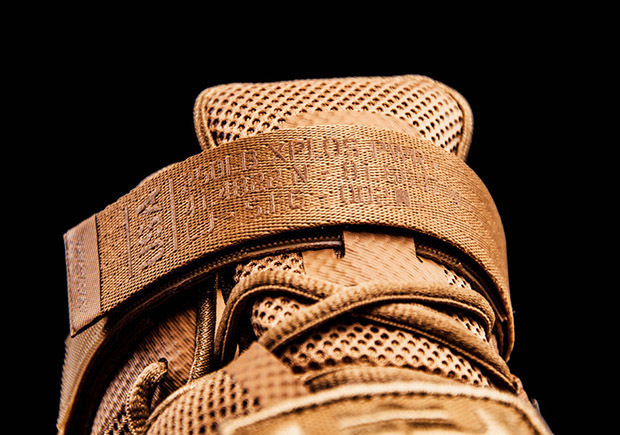 Will you be going to war on the court in a pair? 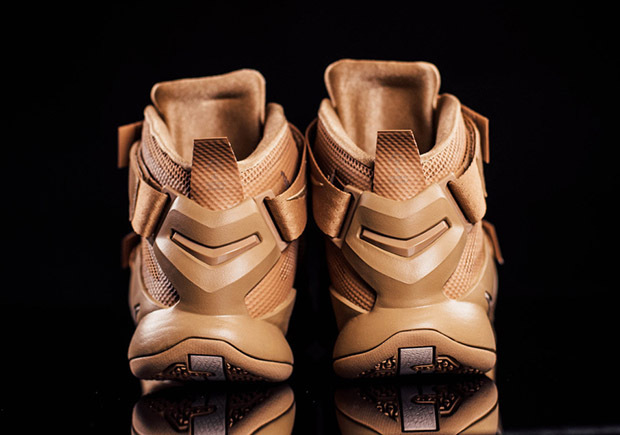 Find the “Desert Storm” Soldier 9 now at select Nike Basketball retailers, including Oneness.